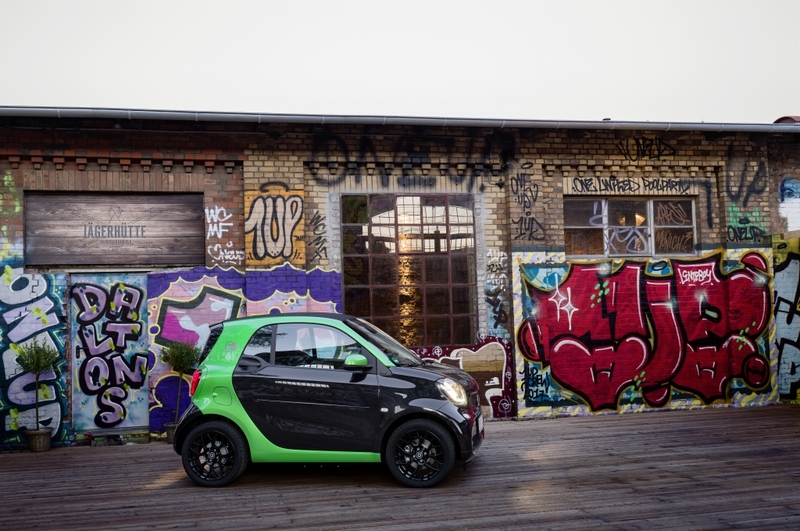 Believe it or not, Smart has been dabbling in the electric car game for over a decade now. It unleashed its first fleet of 100 plug-in micro machines onto the streets of London back in 2007, some five years before the Renault Zoe turned a wheel in public. And Smart remains the only manufacturer to offer its models in both all-electric and internal combustion flavours, while its Smart ForTwo Cabrio is currently the only all-electric convertible on sale. 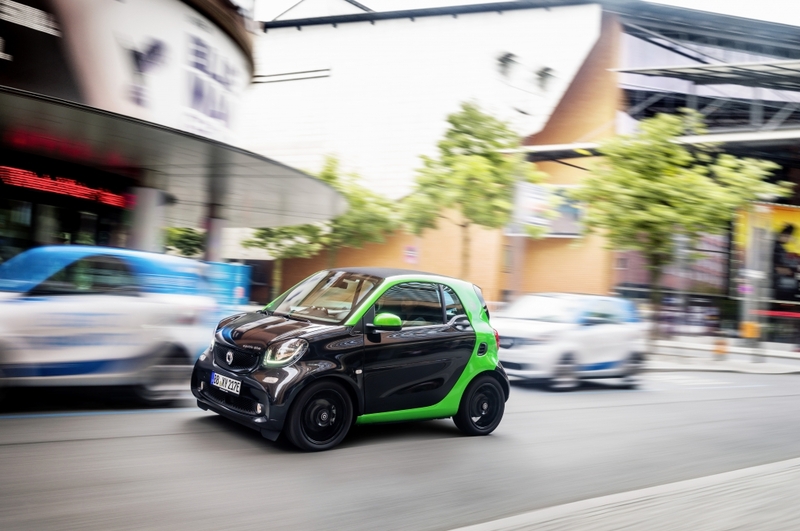 Now in its fourth generation, the Smart Electric Drive (ED) range, which consists of the two-seater ForTwo and larger ForFour, has undergone some major changes. Not least to the battery and electric propulsion system, but also the suspension (it’s now bearable to drive), the infotainment system, exterior styling and general driving demeanour. Toulouse provided this particular test location and it served as a good proving ground. The quaint city boasts an impressively dense population of Smarts, a solid charging network and plenty of narrow streets to assess its inner-city nimbleness. First impressions are good. As we approach the new machine in its graffiti-rich, achingly hip warehouse location, we are instantly drawn to its silly proportions and fancy new paint job. Granted, some will detest its squashed nose and clown car dimensions but it has always been automotive Marmite. 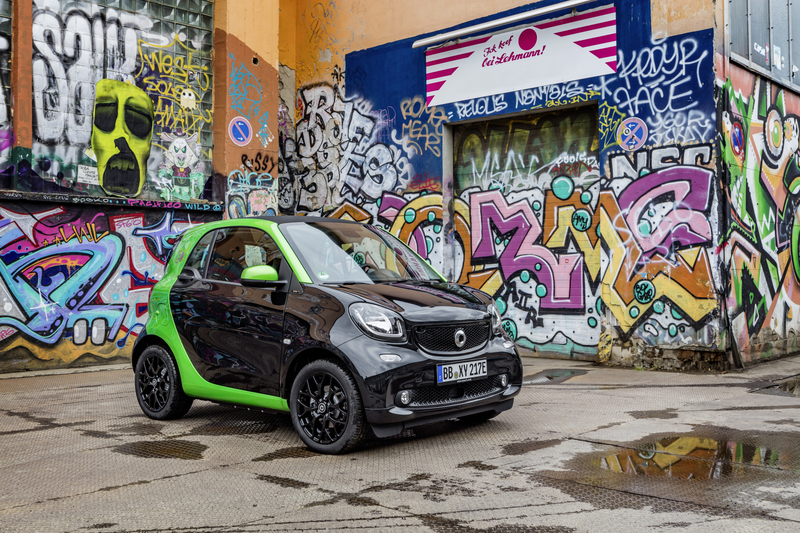 In truth, the electric drive ForTwo doesn’t stray too far from its latest petrol-powered siblings. That means the same diminutive proportions, blunt rear end (great for parking in tight spaces) and comically flared wheel arches remain, while an optional electric drive design package sees the ‘tridion’ safety cell and door mirror caps painted in an exclusive electric green (pictured) if you want road users to know you’ve gone ‘eco’. Open up the enormous doors – which seem to make up a large percentage of the Smart’s body and can make getting in and out at the supermarket a pain – and we are greeted to a 7-inch colour touch-screen infotainment display (robbed from Renault) and a stylish 8.9 cm colour TFT screen that replaces the monochrome trip computer in more basic models. Of course, this kit costs extra and we’re sure the more basic models look pretty sparse inside, but the overall fit and finish is good, if not completely mind-blowing. 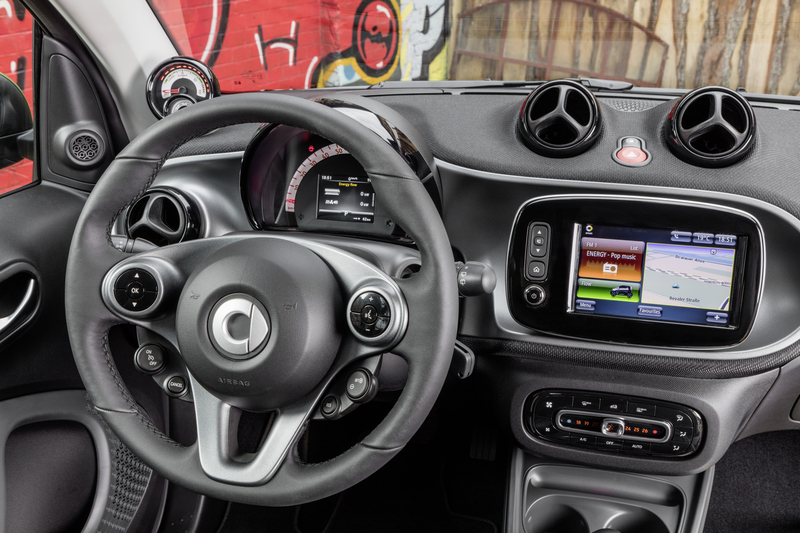 One neat touch, which is found only on electric models, is the bespoke instrument binnacle that’s placed near the A-pillar on the passenger side. It gives read outs on battery charge and power status. 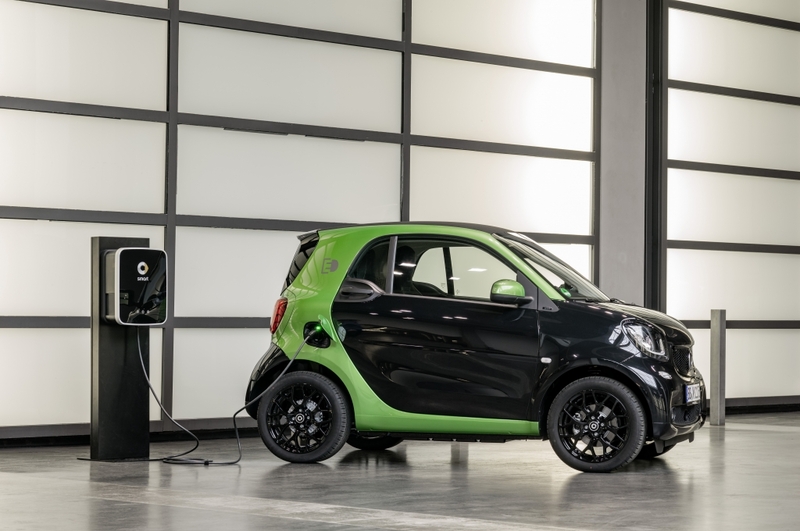 Weirdly, the Smart Electric Drive requires a twist of the key to get things going. Why they didn’t resort to a push button, we will never know, as it’s not entirely clear when the ED is ready to roll. A subtle ‘bing’ indicates that all systems are active and a dab of the accelerator sees power sucked from the improved Lithium-Ion battery packs and fed to a separately excited three-phase synchronous motor, which in turn drives the rear wheels. 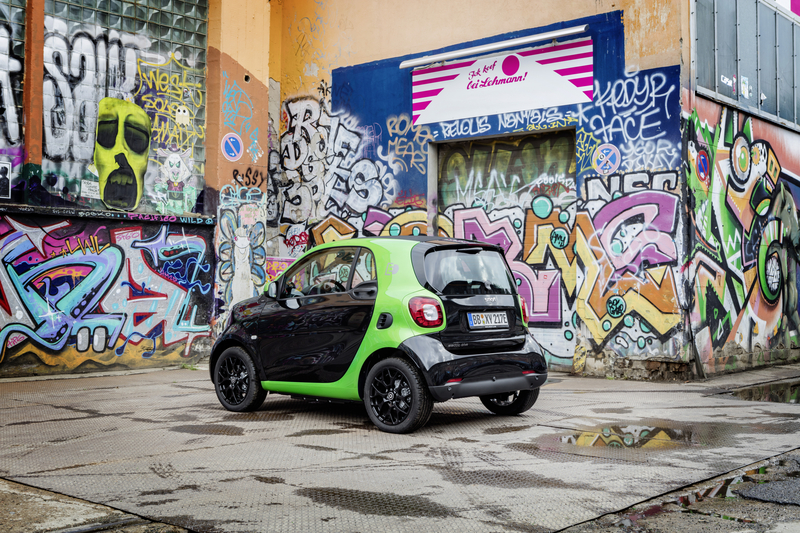 There’s no gearbox to contend with here, as this Smart works on a single, fixed-gear ratio to go about its business, meaning acceleration is impressively snappy. 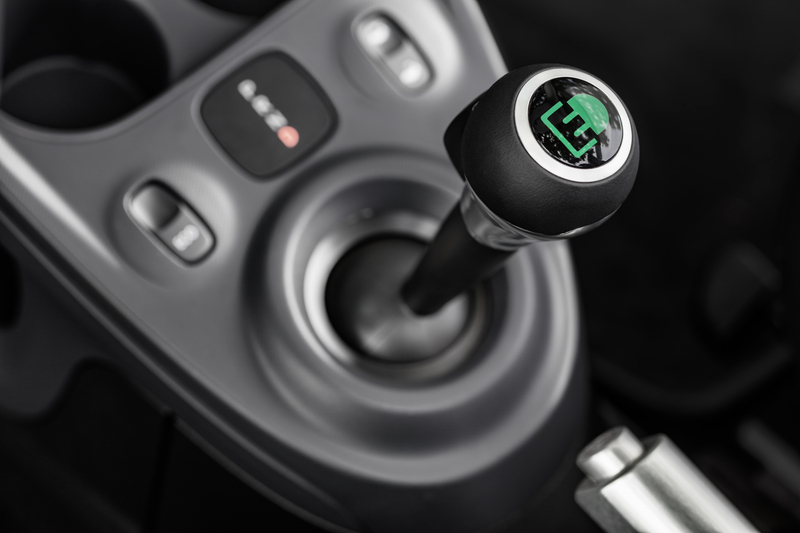 In fact, the full 160Nm of torque is available from a standstill, which sees the sprint to an inner-city legal 30mph complete in less than four seconds. Great for beating your fellow motorists at the traffic lights. Interestingly, the Smart Electric Drive doesn’t even change gears when slotted into reverse. Instead, the engine’s direction of rotation changes, meaning you could effectively reverse at 80mph if the killjoys at Smart hadn’t installed a limiter. Pointless facts aside, the ForTwo feels completely at home around town, with the beefed-up suspension doing a good job of soaking up imperfections in the road, even if overall ride quality still errs on the firm side. Unfortunately, the steering is numb and anyone wanting to attack some twisting country roads will find the traction control system kills any fun very quickly but on the plus side, a market-leading 7m turning circle makes navigating busy streets a doddle. Naturally, longer motorway journeys will be a pain, not only thanks to the excess wind and road noise but also because drivers can feel quite vulnerable in such a small machine. The electric drive version also tops out at 80mph to preserve the motors and battery life, which can make overtaking slower vehicles a bit painful. In better news, there’s an impressive array of, ahem, smart technology on-board. A connected smartphone apps give users remote read-outs of range, as well as the ability to cool and heat the car while it charges (this saves vital battery power) from anywhere in the world with Wi-Fi or 3G signal. The same software will remind owners of servicing intervals, warn of any mechanical problems and can be programmed to select the cheapest time to charge. In Germany, Smart’s team of eggheads is even trialling a system where owners can receive DHL parcel deliveries direct to the car thanks to a unique single-use remote unlocking code. 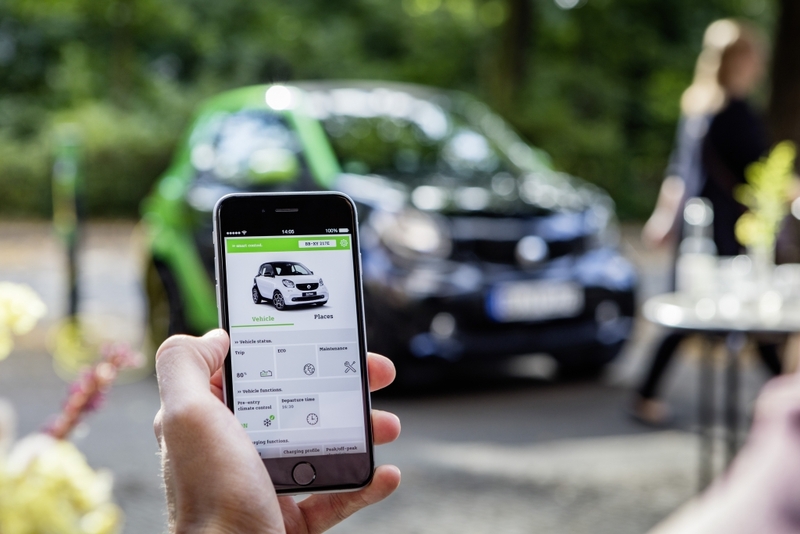 In the not-so distant future, a similar code will allow owners to turn their Smart into a private car sharing scheme to friends and family, maximising the usage of the car and even making some money for said owners in the process. But here’s the rub: the titchy FourTwo is estimated to cost around £16,500 (including the £4,500 government grant) when it goes on sale in September. That’s about the same price as a Nissan Leaf and there’s no comparison in terms of roominess and everyday practicality. 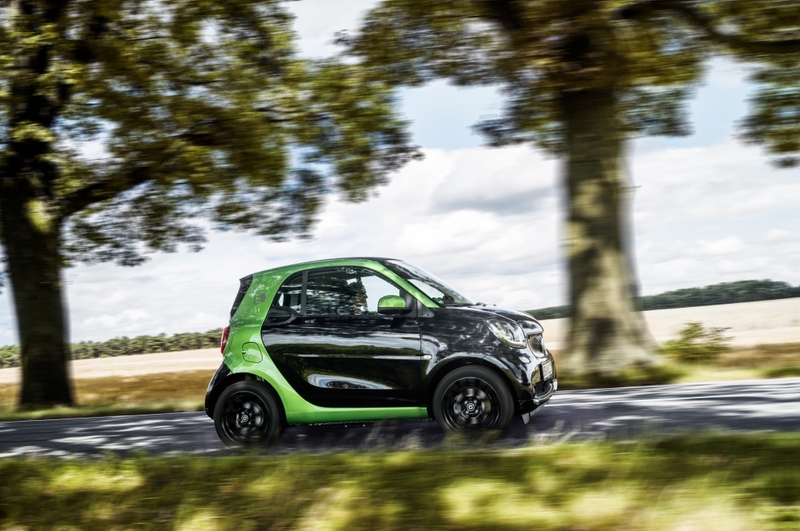 You can barely fit a handbag in the ‘boot’ of a Smart, the range of a Leaf or Zoe is more impressive and they are quite simply more comfortable. On top of this, a full charge from a standard UK plug socket takes six hours, or 2.5 hours from a 7kW charger. That’s a long wait if you’re in a rush. A more powerful 22kW on-board charger will be available early 2018, allowing users to charge in 45-minutes, but it still means frequent and time-consuming breaks on longer journeys. But Smart knows that most of its customers live in dense cities or use the nippy motors as second cars, so rarely embark on the bigger trips nor feel the need for rapid charging, as they charge at the office or overnight at home. And that’s the deal breaker. If you’re already a Smart convert, gleefully parking you car wherever you please, the switch to electric power should be a no-brainer. For the rest of us, it could be a more difficult sell.